Many biopharmaceutical companies are evaluating the option of working with contract manufacturing organizations (CMOs) in China. There are probably as many reasons for following that strategy as there are companies doing the evaluating. However, regardless of the strategic plan behind pursuit of a CMO in China, there are key issues each company must consider as part of its due diligence before selecting one. Through a fast growing economy and government supported transition from low-margin to high-margin products, China is quickly expanding its pharmaceutical opportunities. There are 700 Chinese drug makers and 3,000 Chinese medical device companies registered with the FDA to market their products in the United State or sell them for further manufacturing. Drug imports from China to the United States have more than quadrupled in the past five years, and they exceeded $400 million in 2007 according to the International Trade Administration (part of the US Department of Commerce) (1). Although most Chinese drug products are APIs, it is only a matter of time before additional finished drug products find their way into the American market. In addition, FDA inspection of Chinese medical products is increasing with three offices set to open in China before the end of this year (2). Even though the pharmaceutical export market is expanding, a 2006 study by BioPlan Associates reports that approximately half of the Chinese GMP pharmaceutical production capacity (representing a capital value of $25 billion in pharmaceutical manufacturing assets) is standing idle and seeking clients (3). Recently the Chinese state-owned English-language television station CCTV-9, which targets a western audience, produced an exceptional five-part documentary on the pharmaceutical industry in China. The series included interviews with executives of top international pharmaceutical companies, including such leaders as Daniel Vasella, CEO and chairman of Novartis; Franz Humer, CEO of Roche; and Sidney Taurel, CEO of Eli Lilly. The avowed goal of the program was to promote the next high-end product industry in China by promising better intellectual property protection, more tax benefits, lower labor costs, and increased market access (4). Many American and European pharmaceutical companies have considered working with a CMO in China to grasp opportunities that offer lower production expenses and provide a foothold in the growing Chinese and Asian markets. 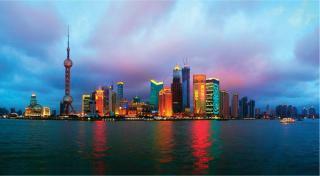 Daniel Vasella of Novartis has been quoted as stating the Chinese pharma market will reach US $25 billion by the year 2010. That market, according to Greg Scott, principal analyst of ChinaBio, is growing at 20% annually (4). However, for an American biotech company, the picture leaves a lingering question: How much, if at all, will biotech share in this general pharmaceutical expansion, especially considering the short history of biotechnology in China? An unpublished study by Strategic Manufacturing Worldwide, Inc., found that the idle Chinese pharmaceutical production capacity has only a small, perhaps negligible portion available for use by the biopharmaceutical sector, and almost all of it was built for antibiotic production. The first Chinese biotech company dedicated to contract manufacturing was established in 2007. Yet it is also true that there are Chinese biotech companies vigorously seeking CMO opportunities and that the number of American and European biopharmas looking for CMO partners in China is increasing. For an American biopharmaceutical company, finding the best match with a Chinese CMO provider is a unique journey. A Chinese biotech CMO will likely have to be built from scratch to meet client needs. Our experience suggests that finding the ideal partner is not an easy task for foreign biopharmas, even when the facility will be custom built, with cultural barriers creating the greatest challenge. The following key questions have been raised by companies evaluating CMOs in China. They focus on motivations, information, documention, compensation, and benefits. Motivations: Why is this potential Chinese partner seeking a CMO opportunity (beyond immediate financial interest)? Reasons may include using excess production capacity, taking advantage of tax and other government incentives and benefits, and seeking other opportunities to transition from one industry to another as part of the company strategy for long-term development. Is it important to know the motivation of a company offering CMO services? We believe so. Several companies we have talked with are looking for CMOs that can support not only one product, but several over a long period. That requires financial commitments to meet market challenges. The CMO motivation may reveal something about the financial strength of a candidate. Chinese companies are getting rich overnight in areas such as real estate development. Many of those are looking for a quick return from a higher-margin industry without acquiring a depth of knowledge in the industry. The risk that such companies may pose to a potential partner is difficult to estimate. It is important to examine and understand what ground a CMO candidate’s strength is truly built on. 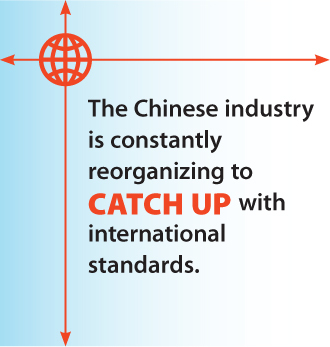 In the biopharmaceutical industry, even with help from returning overseas Chinese professionals, understanding international CGMP compliance is still a challenge to most Chinese companies. This lack of knowledge of international standards is often a hurdle to communications between western and Chinese companies. Documentation: Because of the language barrier, we prefer inspecting a candidate’s existing facility to find out how it is operated and maintained to judge a candidate’s compliance. How necessary is it to examine a Chinese candidate’s documentation practice? It is very necessary. It is important that you know how documentation is handled in the company. Traditionally, Chinese society has functioned on mutual trust clarified through verbal discussion and agreement rather than on written contracts. Although this has changed dramatically since the recent opening of the country, it may take longer for the workforce to change its mindset. A company may strictly follow a procedure, yet each step, particularly in training, may not be documented as it should be and as is commonly practiced in western companies. Compensation: We are looking for a CMO provider that can work with us to meet our strategic needs. After talking with three Chinese candidates, we found that each was willing to work with us, but that none specifically asked for our support like we usually see when speaking with American and European companies. Why? Business is business, and the cost has to be dealt with somewhere. However, the cultural background may lead people to think about it differently. A Chinese candidate that does not ask for compensation during initial discussions may simply assume that the client will take care of the cost later when a price per unit is offered. There is no harm in asking the CMO for clarification because it is better to be upfront and clear during early discussions than to be hit with a surprise cost later. Benefits: Government support seems important for Chinese pharmaceutical companies. How critical is it in selecting a CMO candidate? It is very important. A CMO candidate will tell you that certain benefits will be included in the package it offers you. Those represent the “official benefits,” which may not include others that could be gained through playing in the gray areas. A candidate may hold such benefits in reserve to strengthen its position for the final bidding. In other words, the CMO may follow one of two paths: either it may imply it has arranged government incentives when it only has a list of the incentives and is without government commitment; or it may not tell you about all of the government incentives that are available so that it can add them later to counter-balance a perceived negative point raised by the client. When evaluating potential CMOs there are many criteria to consider. Some apply whether the CMO is next door or around the world. Other considerations are distinct to the resident culture of the CMO. Knowing and understanding the reasons for behavior increases the probability of selecting the best CMO partner. 1.) Wallack, T. 2008. Drug Makers Stick By China. Boston Globe. 2.) Lawder, D, and G. Somerville. 2008. 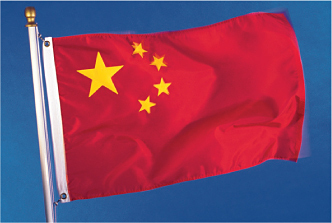 FDA Hopes to Open China Offices by Year End. Reuters Business and Finance. 3.) Goldstein, J. 2008. FDA to Open China Office This Year. Wall Street Journal Health Blog. 4.) Zhou, EY. 2006. Biopharma CMOs in China: Will 45% Excess Capacity Drive the Industry?. Contract Pharma. 5.) Key Developments in the Pharmaceutical Industry 2008.. CCTV International www.cctv.com/program/bizchina/20080310/102894.shtml.